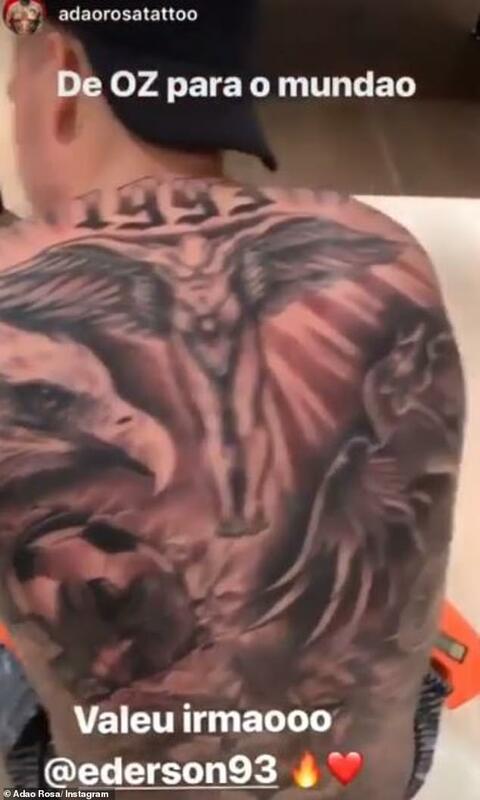 Manchester City goalkeeper Ederson has added to his extensive tattoo collection with a lion, eagle and gloved hands inked onto his back. 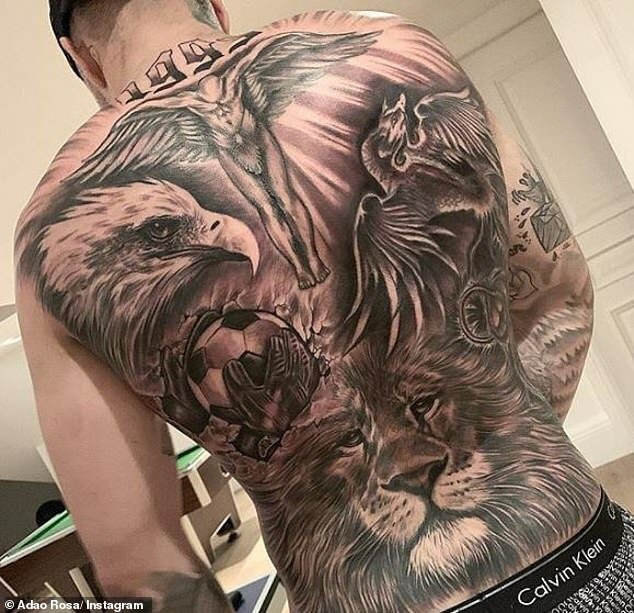 After the work was completed, the artist Adao Rosa posted a picture of the end product on Instagram. At the top of the back is some bibilical imagery with a Christ-like figure and angel wings.